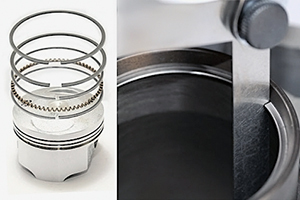 It is important to know that replacement of piston rings without cylinder boring according to the repair size may cause long run-in period of adjusting of the new rings to the old cylinder surface. It is possible to speed up the process and make it safer with minimal metal losses in rings and cylinders by adding XADO Revitalizant. In case if the engine is disassembled, it is recommended to apply on cylinder surfaces the mixture of Revitalizant and motor oil in equal proportions during the engine assembly. It is also recommended to use Revitalizant® for cylinders product to fix the problem. 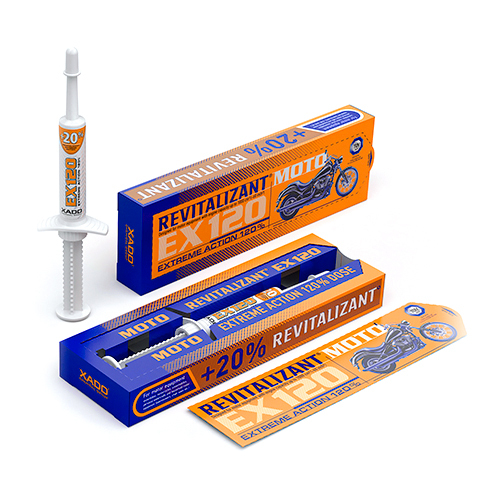 In the assembled state of the engine, it is recommended to use Revitalizant immediately after replacing the piston rings during the run-in period. 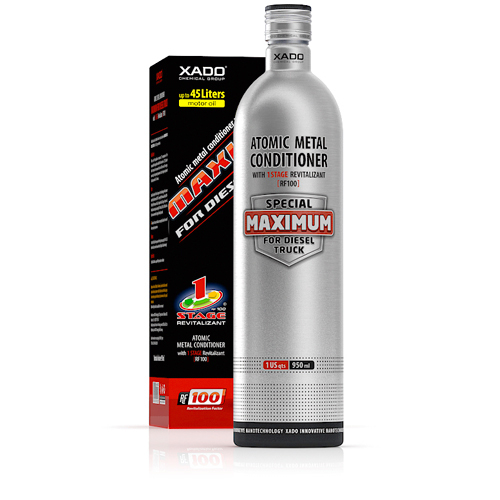 Atomic Metal Conditioner Maximum with 1 Stage Revitalizant is an innovative 3-component product specially formulated for treating vital engine parts in cars with oil system capacity up to 5 qt. 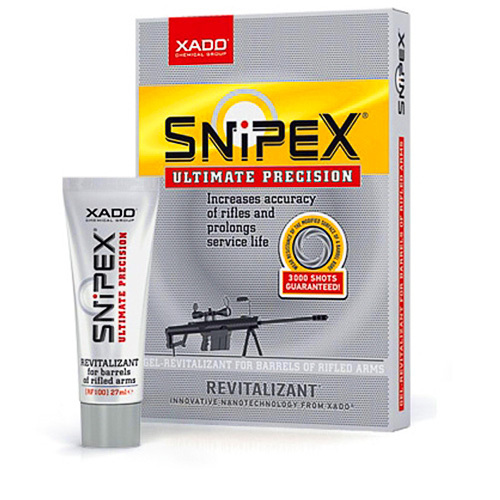 Due to Revitalizant the product reduces friction, rebuilds worn metal in engine parts and creates protective coating against future wear, thus providing tools-free restoration and anti-wear protection. 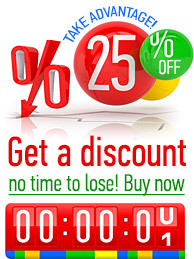 Product application prolongs the life of your engine and allows avoiding expensive repairs in the future. One treatment lasts for 60,000 miles. Make sure the automobile engine is warmed up to normal operating temperature. Turn off the vehicle. 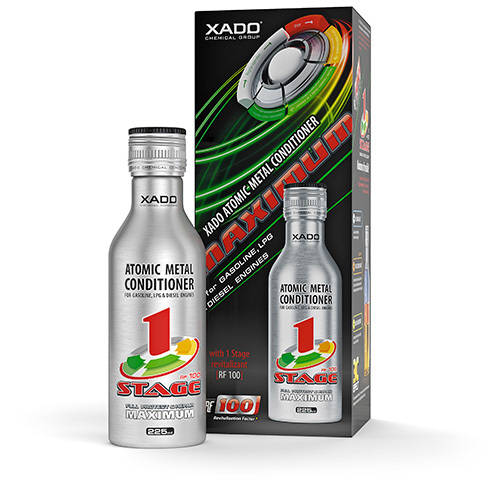 Shake the bottle for one minute and ensure it is at room temperature so that contents flow freely. Pour the contents into the engine oil reservoir. Start the car and let the engine idle for five minutes. Then drive as you normally would. It takes 600 to 900 miles to complete the Revitalization cycle, during which changing oil is NOT recommended. Granules of Revitalizant completely dissolve in motor oil at normal operating temperature. 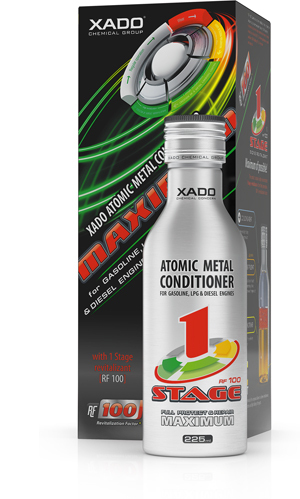 Atomic Metal Conditioner Maximum with 1 Stage Revitalizant works in all gasoline-powered, natural-gas and diesel engines of passenger cars and trucks and 4-stroke motorcycles with oil system up to 5 Quarts. It can be combined with all types of motor oils, from full synthetic to mineral oils.